Finance’s overarching objective is to enable and facilitate growth on multiple fronts (e.g. 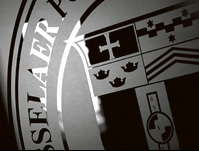 research, graduate education, campaign) within the clearly defined framework of the Rensselaer Plan. To achieve the ambitious objectives of the Plan requires maximum optimization and leveraging of Rensselaer’s financial assets during changing economic times and the continued development of a centralized control environment, where oversight and accountability are clearly articulated and consistently applied via new and revised policies and procedures. The Rensselaer Plan has substantial implications for financial resources. While expanding the resource base is paramount, we must also prioritize use of and manage existing resources to best strategic advantage. The Finance Portfolio encompasses Financial Planning & Services, Financial Operations and Reporting; including payroll, disbursements and the Bursar’s Office; E-Business; Research Administration and Finance; Treasury and Investments; and administrative oversight on an outsourced Internal Audit function.